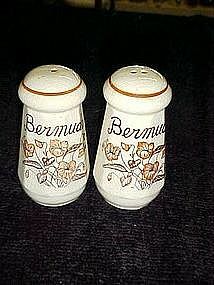 Stoneware shakers from Bermuda. Floral decoration and says BERMUDA. Measures 3 1/2" tall, and have no damages. Some crazing, no stoppers.